Announcing Issue 11′s theme – BODY – call for pitches now open! Static Zine is excited to announce the theme for its 11th issue, body. Body is a very important topic to us editors, and we love reading stories and seeing art about bodies. We know that everyone has a body story to tell. We want this issue to be an inclusive safe space that discusses all shapes, sizes, racial identities, strengths, forms, genders, non-binary identities, and dis/abilities. We especially encourage and welcome stories of vulnerability, struggles, encounters with ableism, racism, sexism, misgendering, paths to acceptance and confidence, injuries, etc. We do not accept language or art that excludes others or understandings. Have a story about puberty? Body positivity? Your relationship with food? How your body has gotten you through the world? Learning to love your body? Your fixation with a certain part (or parts) of your body? What you want others to know about your body? About adapting to something? About fitness? About illness? About loss? Do you want to talk about your body art? Do you have a story of breaking a bone? What about your relationship with clothing? Do you have a memory of your body in a place? What about your body in reference to a relationship? These are just some ideas to spark yours. If you are interested in contributing to this issue, please read the following carefully. What we’re looking for: Right now, all you have to do is submit what you’d like to make a page about regarding the body theme. An idea for something serious, witty, funny, opinionated, you name it. You can come at the idea through any kind of word or art interpretation. Anything that works, printed on a sheet of paper. Common uses in our zine include personal stories, fiction, illustration, photo collages, game designs, comics, doodles, etc. Feel free to combine! 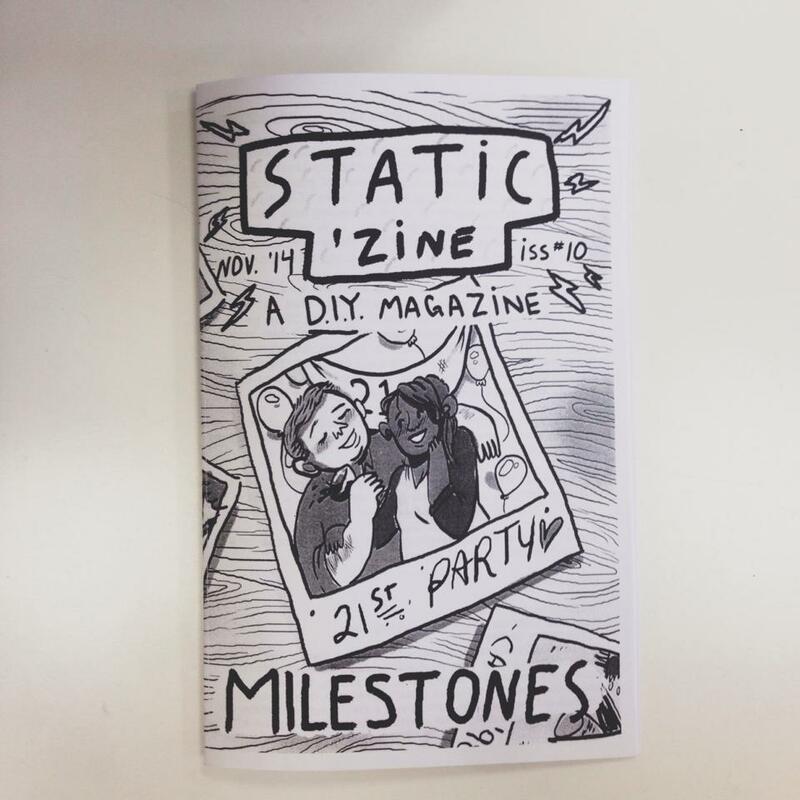 What to do right now: Email us at info@staticzine.com explaining what you would like to make a page on and how you plan to do it. We will get back to you *after* the deadline to discuss it. Deadline: Friday, February 27, 2015. Submissions will then be due by Friday, April 10, 2015 *at the absolute latest*. We have low tolerance for late submissions, and it takes us time to put everything together and get printed, so please take this seriously. “One zine page” = 5.5 x 8.5 inches. Your page must be vertical. *Send us a photoshop or jpeg file. Resolution 600. *You can drop off a physical copy at our HQ in Toronto, but please make sure you keep your work a few centimetres from the borders of the paper, so nothing gets cut off. Although we may end up scanning it and reprinting it if we need to. We print in black and white. If you are including photos, try not to keep them too contrasty, as they don’t photocopy as well. Please take a look at our previous issues to see our style. Artists: We are also looking for someone to illustrate the cover. If you have a great idea that conveys body, get at us! Thank you & we can’t wait to see your ideas! Please don’t hesitate to ask us any questions! 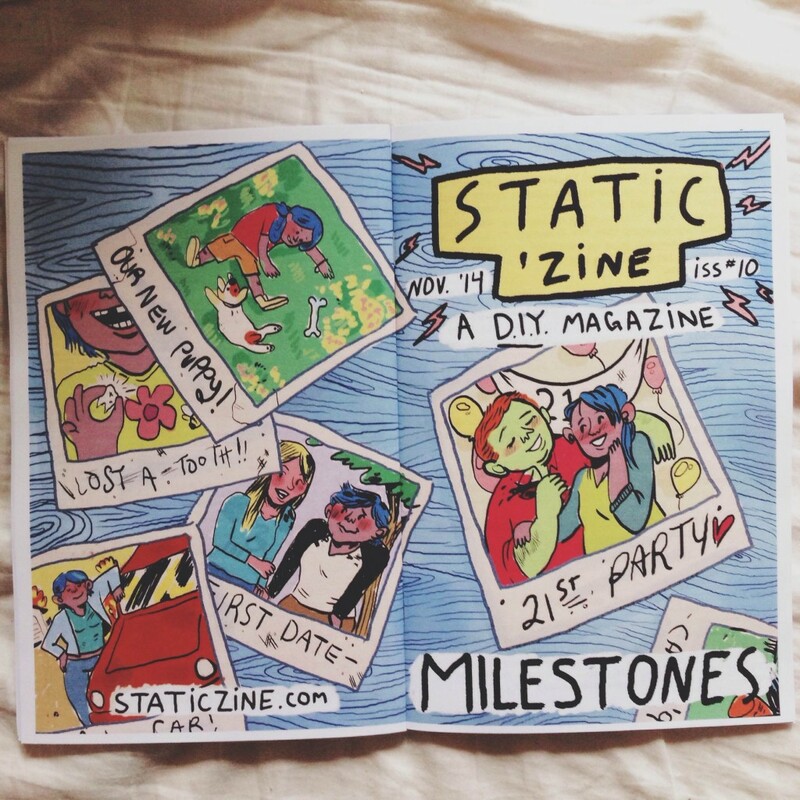 The milestones issue – our tenth! – is born! Come grab your copies at Canzine this Saturday – 918 Bathurst from 1-7. The black & white cover editions will be free, and the colour cover editions will be $2. Limited edition! For now, you can also pre-order on our Etsy. You started from the bottom, and now you’re here. In honour of us reaching our ~*TENTH ISSUE! *~ we have made the theme MILESTONES. And it’s time for you to send in your pitch! What we’re looking for: Right now, all you have to do is submit what you’d like to make a page about in our zine regarding a milestone in your life. An idea for something serious, witty, opinionated, you name it. Your life is your canvas. You can come at the idea through any kind of word or art interpretation. Anything that works, printed on a sheet of paper. Common uses in our zine include personal stories, fiction, illustration, photo collages, game designs, comics, doodles, etc. Feel free to combine! Deadline: Friday, September 12, 2014. Submissions will then be due by Tuesday, October 14 *at the absolute latest*. We have a low tolerance for late submissions, and it takes us time to put everything together and get printed. This issue is on a strict deadline in order to be ready for Canzine on November 1, so please take this seriously. *You can drop off a physical copy at our HQ in Toronto, but please make sure you keep your work a few centimetres from the borders of the paper, so nothing gets cut off. Artists: We are also looking for someone to illustrate the cover. 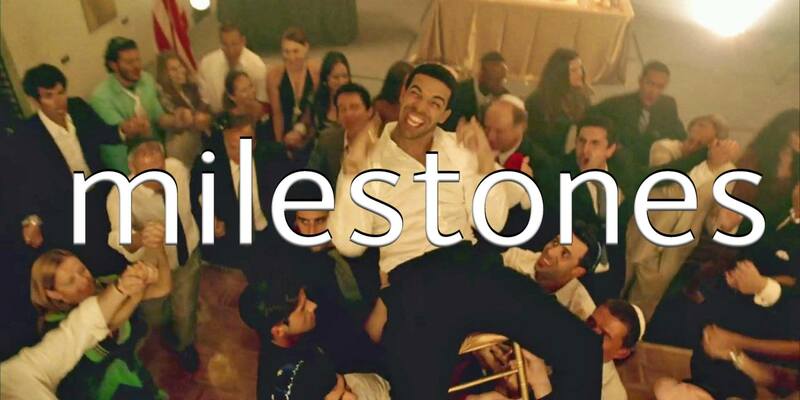 If you have a great idea that conveys “milestones,” get at us! Thank you & we can’t wait to see your ideas! This will be a very important issue and we’re excited to share on this topic. Buy Issue 9 – FOOD! Haven’t got our Food issue yet? You can now get it on our Etsy! YUM! 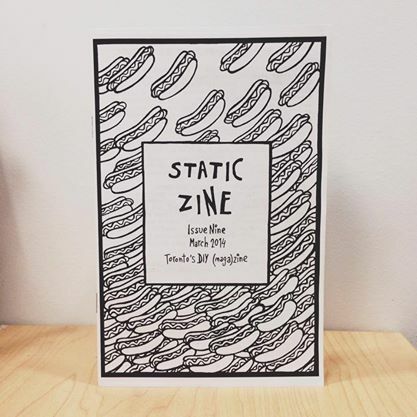 Static Zine’s 9th issue is all about food! It’s actually SUPER surprising we have not done a food issue yet, what with the Static editors being expert eaters. But when it was one of the suggestions in the voting round for Issue 8 and it didn’t win, well, that was super surprising too. (But we now have the most wonderful mental health issue to show for it!) So it was unanimous for us to agree that Issue 9 would be all about food. And we can’t wait to see what you’ll come up with. What we’re looking for: Right now, all you have to do is submit what you’d like to make a page about in our zine regarding food. An idea for something serious, witty, opinionated, you name it. There’s pretty much a whole field of corn out there, waiting for you to pick just one. You can come at the idea through any kind of word or art interpretation. Anything that works, printed on a sheet of paper. Common uses in our zine include personal stories, fiction, illustration, photo collages, game designs, comics, doodles, etc. Feel free to combine! Deadline: Monday, January 20. Submissions will then be due by Monday, February 24 *at the absolute latest*. We have a low tolerance for late submissions, and it takes us time to put everything together. This issue is on a strict deadline in order to be ready for Chicago Zine Fest on March 15, so please take this seriously.